As the end of the age swiftly approaches, the clash between the kingdom of light and the kingdom of darkness is intensifying. Sadly, today's church is largely ignorant about the realities of spiritual warfare. In this follow-up to his first book, Spiritual Warfare, Richard Ing exposes the deceptions of Satan in order to further train and equip believers for the final global conflict to come, and provides hope and anticipation for God's promised worldwide revival. Waging Spiritual Warfare will help you to: ? Deliver those who suffer from physical and psychological oppression ? Overcome the obstacles of religious pride and unbelief within the church ? Increase your understanding of the work of angels in spiritual warfare ? Become aware of the signs of the times that lead to the end times ? Resist the deceptive efforts of the evil one ? Realize the role of the believer in the worldwide revival to come Don't be deceived. Don't remain on the sidelines. 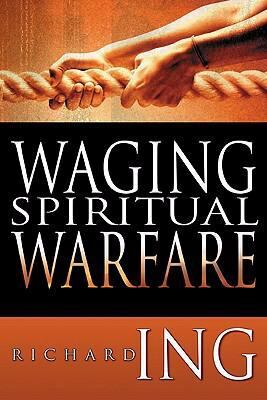 The more you know about your enemy, the better prepared you will be to engage him in battle and help to bring about his defeat!Ing, Richard is the author of 'Waging Spiritual Warfare', published 2008 under ISBN 9781603740227 and ISBN 1603740228.